A Delta Airlines Airbus A319-100, registration N301NB performing flight DL-603 from Mexico City (Mexico) to Salt Lake City,UT (USA), was climbing out of Mexico City’s runway 23R when the crew reported a problem with one of the engines (CFM56) and requested to enter a hold to work the checklists. The aircraft levelled off at 12,000 feet and entered a hold. The crew subsequently decided to return to Mexico City for a safe landing on runway 23L about 30 minutes after departure. The occurrence aircraft is still on the ground in Mexico City about 72 hours after landing back, the engine is being replaced. A UPS United Parcel Service Airbus A300-600 freighter, registration N130UP performing flight 5X-605 from Chicago O’Hare,IL to Louisville,KY (USA), was climbing out of Chicago’s runway 28R when the crew reported they could not retract the landing gear. The crew decided to continue to Louisville nonetheless although at a lower cruise level and a lower speed. The aircraft climbed to FL200 enroute and requested Louisville’s longest runway 35L available explaining they were carrying extra fuel. The aircraft landed safely on Louisville’s runway 35L about one hour after departure. The aircraft remained on the ground in Louisville for about 15.5 hours, then returned to service. A British Airways Boeing 747-400, registration G-CIVN performing flight BA-65 from London Heathrow,EN (UK) to Nairobi (Kenya), was climbing out of Heathrow’s runway 27L when the crew stopped the climb at 6500 feet due to being unable to retract the landing gear. After working the checklists the crew decided to return to Heathrow, climbed the aircraft to FL080 to dump fuel over the British Channel and returned to HEathrow for a safe landing on runway 27L about 100 minutes after departure. Emergency services reported a leak at the right body gear. Several witnesses on the ground reported they observed the aircraft with all (nose, main, body) gear down while climbing out of Heathrow and entering a holding pattern. The airline reported the aircraft returned to Heathrow for a normal landing. A replacement Boeing 747-400 registration G-CIVL is estimated to reach Nairobi with a delay of 6:45 hours. A Southwest Airlines Boeing 737-700, registration N457WN performing flight WN-718 from Washington Ronald Reagan,DC (USA) to Kansas City,MO (USA), was descending towards Kansas City when the captain’s windshield’s outer pane cracked. The aircraft continued for a safe landing in Kansas City. A replacement Boeing 737-700 registration N757LV continued the next sector to Houston Hobby,TX (USA) with a delay of 20 minutes. The airline reported the outer pane cracked, the windshield remained “completely intact”. The aircraft was removed from service to repair the windshield. The occurrence aircraft returned to service after 20 hours on the ground. A Westjet Boeing 737-600, registration C-GWCY performing flight WS-137 from Calgary,AB to Vancouver,BC (Canada) with 99 passengers and 5 crew, was enroute at FL380 about 5 minutes prior to top of descent when cabin crew informed the flight deck that a sulphur like smell was detected in the cabin in the vicinity of the overhead bins near seat row 2. The flight crew declared PAN PAN PAN, continued for a safe landing at Vancouver and taxied to the gate. Fire fighters boarded the aircraft at the gate and identified the odour came from a Westjet commissary cooler bag in the overhead bin above seat row 2. The Canadian TSB reported the bag was removed, a further search did not find any source of heat or the odour. An American Airlines Boeing 777-200, registration N751AN performing flight AA-63 from Paris Charles de Gaulle (France) to Miami,FL (USA) with 206 passengers and 13 crew, was enroute at FL350 over the Atlantic Ocean about 650nm westnorthwest of Shannon (Ireland) when the crew declared emergency reporting they had shut down the right hand engine (Trent 892). 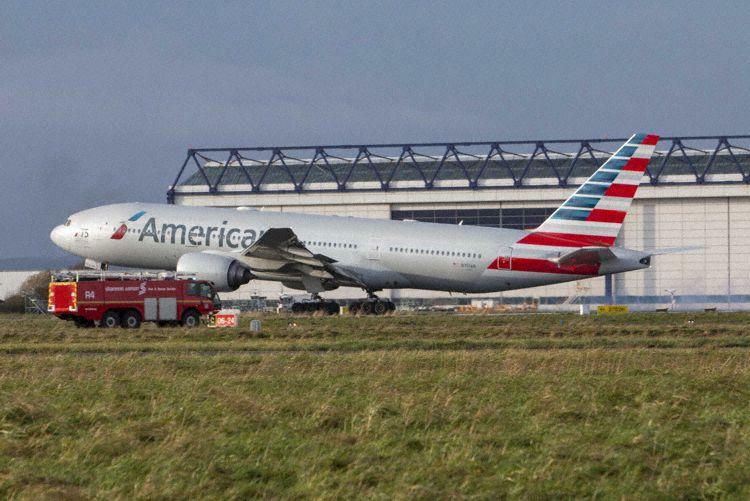 The aircraft drifted down to FL210, the crew decided to turn around and divert to Shannon, where the aircraft landed safely on runway 24 about 100 minutes later. The crew requested emergency services to inspect the right hand engine for any leaks, emergency crews reported seeing no leaks. An Air Canada Airbus A330-300, registration C-GFAH performing flight AC-878 (dep Nov 24th) from Toronto,ON (Canada) to Zurich (Switzerland) with 275 passengers and 11 crew, landed on Zurich’s runway 14 however suffered the loss of nose wheel steering during roll out. 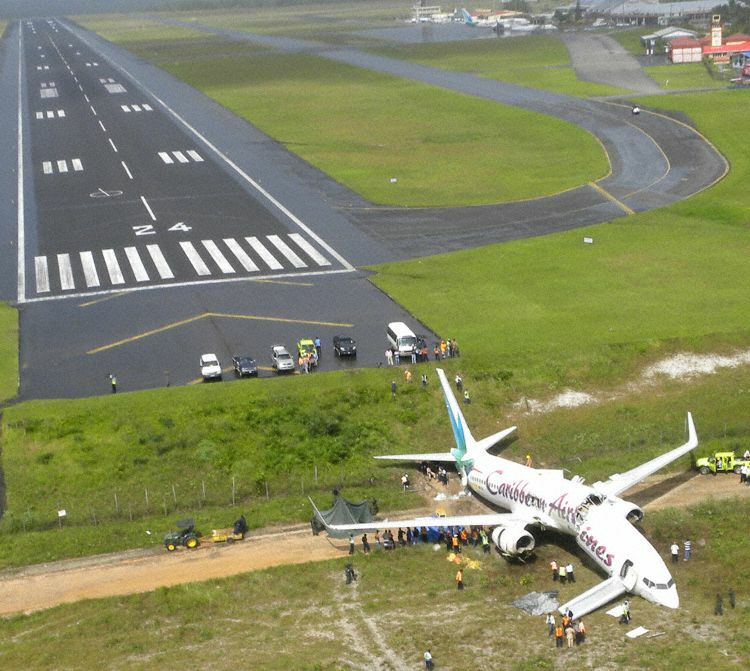 The crew was unable to steer the aircraft off the runway, the aircraft needed to be towed off the runway. Canada’s TSB reported maintenance replaced the hydraulic block, functional and leak tests revealed no further fault. 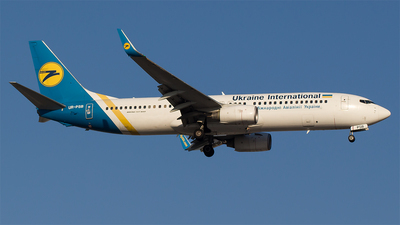 A UIA Ukraine International Airlines Boeing 737-800, registration UR-PSB performing flight PS-128 from Paris Charles de Gaulle (France) to Kiev (Ukraine), departed Charles de Gaulle’s runway 27L (northern runway pair) and immediately after departure turned south without clearance into the departure path of the southern runways. An Air France Airbus A320-200, registration F-HBNJ performing flight AF-7624 from Paris Charles de Gaulle to Bordeaux (France), departed Charles de Gaulle’s runway 26R (southern runway pair) at the same time. Recognizing the unexpected turn by the UIA Boeing ATC instructed the A320 to stop climb at 2000 feet. France’s BEA reported the UIA Boeing 737 turned south without clearance after departing the northern runway pair, while an Air France A320 was departing the southern runway pair. ATC kept the A320 down at 2000 feet, the separation between the two aircraft reduced to 300 feet vertical and 2.27nm horizontal. The BEA rated the occurrence an incident due to a navigation error and opened an investigation. Both aircraft continued to their destinations without further incidents. The Australian Transport Safety Bureau (ATSB) recently released an investigative report involving an engine occurrence that led to a European Aviation Safety Agency airworthiness directive mandating the replacement of corrosion-inducing cleaning processes for Rolls-Royce blades. In May 2017, an Airbus A380 operated by Qantas Airways departed Los Angeles destined for Melbourne. The crew turned back 2 hr. into the flight after hearing a loud bang followed by unusual vibration and what turned out to be a false fire warning. After an uneventful landing, the initial inspection found no breach of the No. 4 engine casing and minor damage to the right flap due to exiting debris. A subsequent teardown found fatigue cracking due to internally corroded low-pressure turbine blades, which had resulted in blade debris and downstream damage through the engine. The corrosion was attributed to a chemical residue in the hollow blades left after a July 2015 cleaning operation. In response to the occurrence, the manufacturer modified its blade-cleaning instructions to include best practices for the removal of process solutions and chemical residues. The revised procedures-which include flushing of aerofoil cavities and modifying the orientation and support of the blades while cleaning-were adopted at all applicable Trent 900 Stage 2 low-pressure turbine blade maintenance facilities. An internal manufacture safety alert also was distributed to raise awareness of the issue and its potential impact on other engine types. 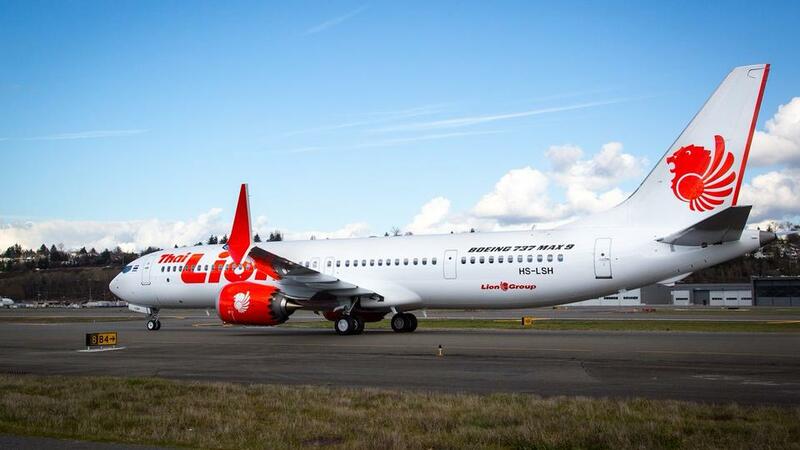 SEATTLE/PARIS, Nov 29 (Reuters) – Boeing Co BA.N is weighing plans to launch a software upgrade for its 737 MAX in six to eight weeks that would help address a scenario faced by the Lion Air crew during last month’s deadly crash in Indonesia, two people briefed on the matter said on Thursday. While plans for the possible fix are not final, Boeing’s software upgrade could block the recently modified anti-stall system, known as MCAS, from continuously running until the plane hits its nose-down limit, the sources said. The MCAS function would be disabled if the crew counteracted it by trimming or adjusting settings in the opposite direction, according to two people briefed on Boeing’s proposals. “When the crew makes the adjustment, that would essentially disengage MCAS unless it got new data,” one of the people said. Attention has focused on the role of a suspect “angle of attack” sensor used to drive alerts on stall or loss of lift. While each 737 has two of these blade-shaped vanes, the plane’s anti-stall system relies on data pulled from just a single vane during each flight, compared with a three-sensor “voting” system on rival Airbus AIR.PA jetliners. Boeing’s software update would come as an emergency measure from Boeing and Federal Aviation Administration, the sources said. 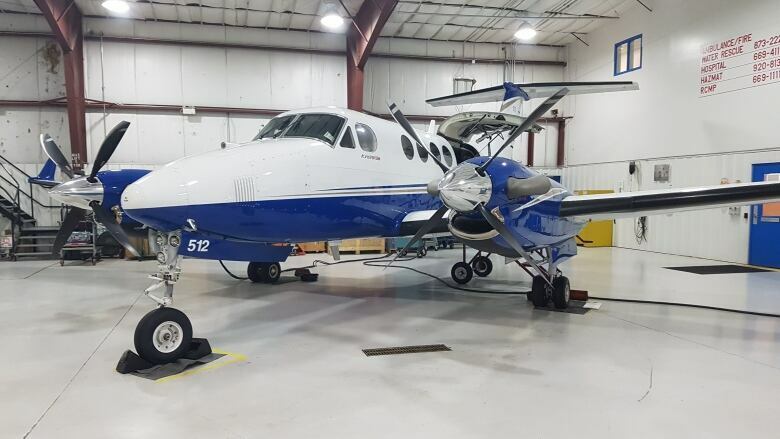 “As part of our standard practice following any accident or incident, we examine our aircraft design and operation, and when appropriate, issue bulletins and make recommendations to operators to further enhance safety,” a Boeing spokeswoman said. The world’s largest planemaker has 4,542 of the upgraded 737 MAX on order from airlines, worth over half a trillion dollars at list prices, or about half that after typical discounts. US airline pilots are asking for more training around an automated system suspected of playing a role in a deadly crash in Indonesia. 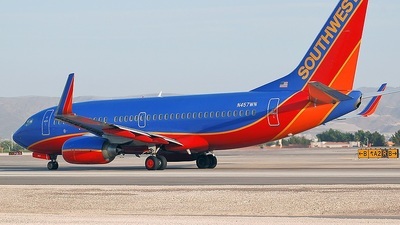 DALLAS (AP) – Southwest Airlines says its pilots will get more instruction on an automated anti-stall system on certain new Boeing jets, and American Airlines pilots are also seeking more training. The system is under scrutiny after a deadly crash in Indonesia. Modern planes use sensors outside the fuselage to measure airspeed and the pitch of the plane’s nose. The sensors can malfunction, however, and safety experts have suggested that Boeing will have to change the automated anti-stall system of the 737 MAX – which entered service last year – to prevent it from responding to a single erroneous reading. 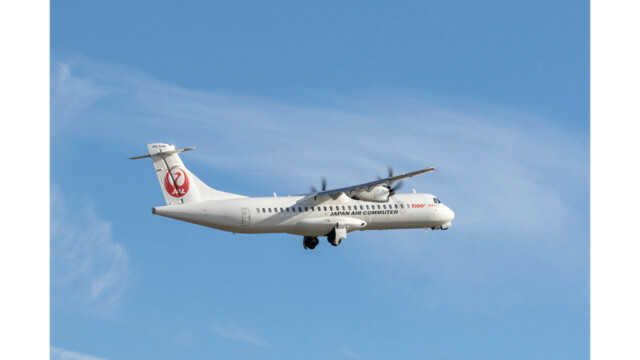 Katsutoshi Jitsukawa, a pilot for Japan Airlines, was found to be over nine times the legal alcohol limit shortly before a flight in October 2018. London (CNN)A Japanese pilot found to be more than nine times over the legal alcohol limit before a scheduled flight from London Heathrow in October has been sentenced to 10 months in prison, police said Thursday. Alarm was raised after a driver of a crew bus smelled alcohol and called the police, who conducted the test, according to Japanese broadcaster NHK. Jitsukawa said he had drunk two bottles of wine and a pitcher of beer the night before the flight, NHK reported. 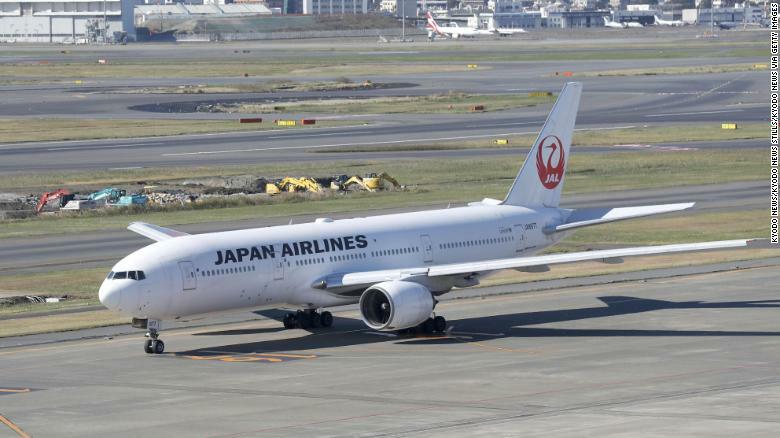 Japan Airlines has promised to implement new policies to prevent future alcohol related incidents. He was remanded in custody and later pleaded guilty to the charge of performing an aviation function when his ability was impaired through alcohol. Jitsukawa had been scheduled to fly a 244-seater Boeing 777 aircraft. Reacting to the sentencing, Inspector of Aviation Policing Iain Goble, condemned the “serious” offense that could have had “catastrophic” consequences. “This conviction reflects he displayed not only total disregard for the safety of all the passengers and staff on his flight, but also the wider public,” Goble said. 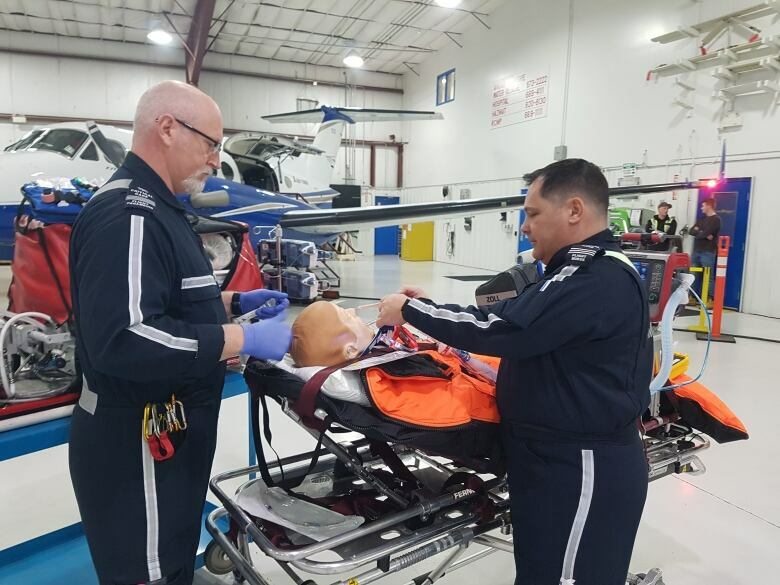 The Northwest Territories’ air ambulance services recently received accreditation from the Commission on Accreditation of Medical Transport Systems, a group of non-profit organizations dedicated to improving medical transportation services. The air ambulances in the territory are run by ACCESS, a partnership between Aklak Air, Air Tindi Ltd., and Advanced Medical Solutions. Getting this new accreditation was part of the agreement between the territorial government and ACCESS when they signed a contract in 2015. It took two and a half years for ACCESS to get the accreditation. “It’s very much a demonstration to the people of the Northwest Territories that the government and the contract companies that are involved in this have made the highest commitment that we can,” said Ivens. 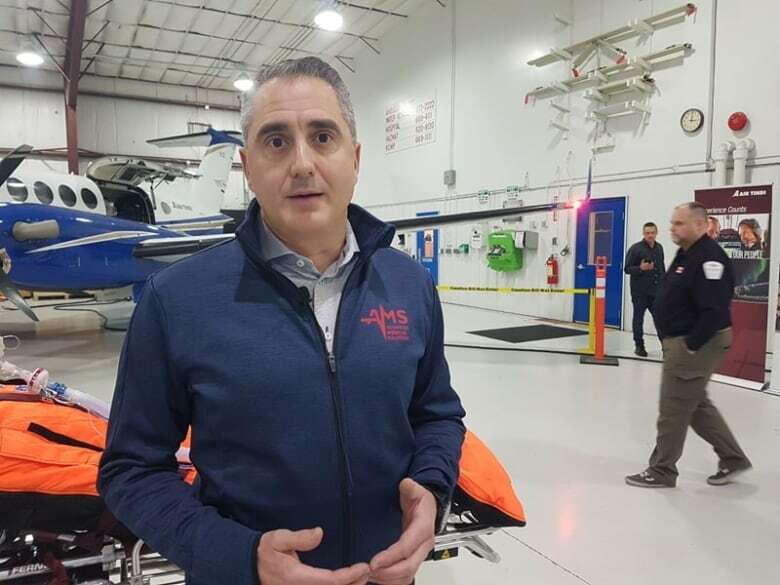 He said this is one of only three air ambulance services in Canada with this status. 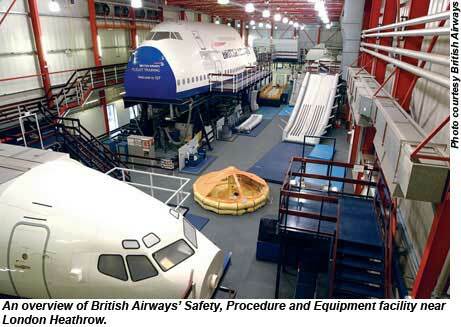 It focuses on quality assurance, medical standards, safety and staff education. 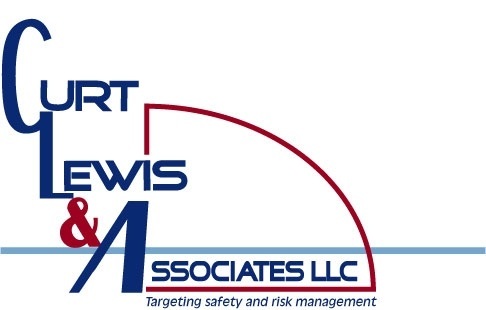 Ivens said they had to rewrite policies and procedures for different areas, including medical, aviation, and dispatch to get this level of accreditation. He pointed to the development of a medical simulation lab in Yellowknife in 2015 as an example. It can also be moved around the territory to bring the training elsewhere. The lab includes different mannequins that can simulate “anything the body does.” The mannequins include an adult male, a pregnant female with complications, a toddler, a pediatric mannequin, and a neonatal mannequin. Jones said they are also checking their equipment more frequently. To keep the accreditation status, ACCESS will have to check in with the Commission on Accreditation of Medical Transport Systems each month. 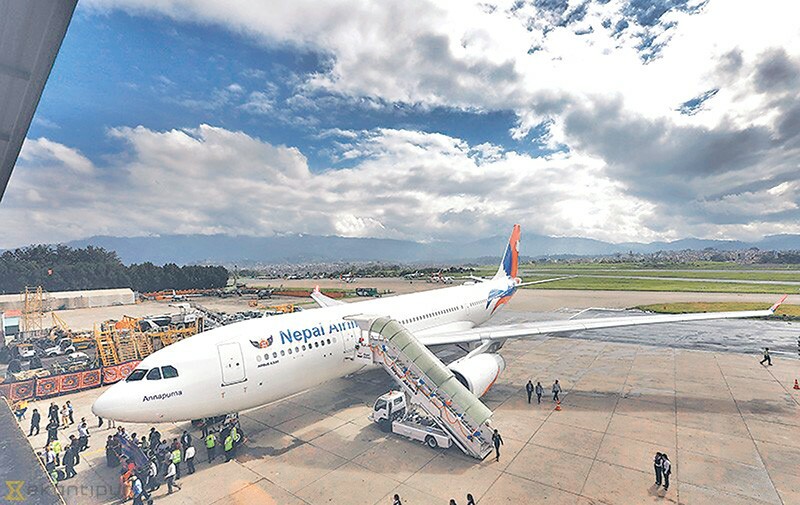 The planned safety audit of Nepal Airlines Corporation (NAC) by South Korea’s aviation regulator before allowing Nepal’s national flag carrier to start flights in Seoul is still up in the air with no confirmed date. On September 3, in response to NAC’s plan to conduct direct flights to Seoul, the South Korean authority had written to Nepal’s government that it would be sending an audit team for safety checks to determine whether NAC meets international standards to operate in Incheon International Airport, one of the largest and busiest airports in the world. Three months have passed but there are no signs of inviting the audit team. The South Korean government had named an audit team led by Cho Donghyun, assistant director of flight standard division of Ministry of Land, Infrastructure and Transport, to conduct the audit of Nepal’s national flag carrier. One aviation source with knowledge of the matter told the Post that Nepal’s aviation regulator, the Civil Aviation Authority of Nepal (CAAN), has advised NAC to not invite the team immediately as its preparations are not sufficient to satisfy the auditors. The CAAN has also internally audited NAC’s safety standards which show that most of the concerns pointed out by the regulator have been unaddressed. The audit is a regular process of any country’s aviation regulator before allowing new carriers to operate. NAC’s Executive Chairman Madan Kharel said that they were prepared for the audit. However, he said that it was up to CAAN to invite them. As per the procedure, regulators of both countries need to sign a memorandum of understanding before the audit is conducted. Last Sunday, NAC’s managing director Sugat Ratna Kansakar told the Parliamentary Public Accounts Committee (PAC) that the corporation’s plan to expand its wings to long-haul destinations like South Korea, Saudi Arabia and Japan has been delayed as the European Commission (EC) has kept all Nepali carriers in the air safety list. The EC had put Nepal on its air safety list in December 2013 in the wake of frequent crashes in Nepal, particularly in the domestic sector. Kansakar told lawmakers that the International Civil Aviation Organisation (ICAO) had removed the “significant safety concerns” (SSC) tag it had put on Nepal in July last year. However, Nepal is still under the purview of the EC. CAAN is in line to be broken up into two entities-regulator and service provider-to facilitate stringent enforcement of safety measures. ICAO’s Universal Safety Oversight Audit Programme had also recommended that Caan be split to make the aviation sector more efficient. Nepali airlines doesn’t know when they will be removed from the air safety list, allowing them to operate in the European and other countries. Lawmaker Dharmasila Chapagain questioned the NAC on why it has been dreaming to fly Japan, South Korea and other European countries when it is still in the air safety list of EC. Allegiant Air, the ultra-low-cost carrier at the heart of a seven-month “60 Minutes” investigation, flew the last of its aging planes Wednesday in a trip from Fresno to Las Vegas. A 26-year-old MD-83 jet, which arrived a half hour late, retraced the route of the very first Allegiant flight. After Wednesday, the airliner will operate an all Airbus fleet that is much younger than the now-retired MD-80 planes. In April, “60 Minutes” reported that nearly 30 percent of Allegiant’s fleet was comprised of the aging MD-80 planes, almost all of them purchased second-hand from foreign airlines. The “60 Minutes” investigation found that between Jan. 1, 2016 and the end of October 2017, more than 100 serious mechanical incidents, including mid-air engine failures, smoke and fumes in the cabin, rapid descents, flight control malfunctions, hydraulic leaks and aborted takeoffs. The “60 Minutes” report questioned the FAA’s 2015 adoption of its “compliance philosophy,” which aims to work with airlines to foster improved compliance and reporting of issues. The FAA disputed the report and said it heightened its oversight of Allegiant that year. But as “60 Minutes” reported, when a near-crash happened due to a missing component in 2015, the FAA investigator recommended strong enforcement and maximum fines. Instead, the agency closed the case and ignored the recommendations. “60 Minutes” correspondent Steve Kroft, who reported on Allegiant’s troubles, said in a “60 Minutes: Overtime” segment that he was “flabbergasted” more people didn’t know about the company’s safety record. As Allegiant has been phasing out its MD-80 fleet, they said reliability has improved. The Lithuania-based carrier’s Air Operator Certificate (AOC) was revoked by a court forcing the airline to cease all operations in the night from November 28th to November 29th. 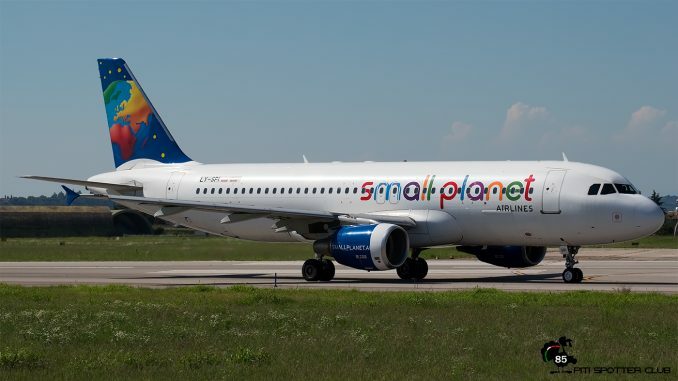 Small Planet Airlines recently entered a restructuring process, laid off staff and airplanes, trying to maintain flights, but ultimately failed to cover its own group’s costs. The programme will see them gain qualifications in English, Math and Digital skills, access to a dedicated mobile app to track their progress and continuous development coaching from a certified apprenticeship coach. Alaska Air Group will decide in 2019 if it will continue operating both Airbus and Boeing narrowbodies or shift back to a single-type fleet, says chief operating officer Ben Minicucci. Minicucci, speaking during a presentation to investors earlier this week, did not elaborate, and the company declines to provide further comment. But questions about Alaska’s long-term fleet plan have been unanswered since the company acquired Virgin America in late 2016. Prior to that deal, Alaska’s subsidiary Alaska Airlines operated only Boeing 737s – a strategy viewed as contributing to Alaska’s success as a profitable, fast-growing company. With the acquisition, Alaska gained Virgin America’s fleet of A320-family aircraft. In the two years since, Alaska has been integrating the types into a single network and combining pilots and flight attendants into single employee groups. Minicucci says the fleet integration work proved costlier than Alaska had anticipated. Indeed, executives have said the entire merger proved more expensive than Alaska anticipated, driving down profits in recent quarters. Transitioning to a mixed fleet, which requires two maintenance programmes, two crew groups and “two operating methodologies” caused a “step change in complexity”, adds executive vice-president of planning and strategy Shane Tackett. Alaska’s pilot productivity will actually decrease in 2019 as the company trains 737 pilots to fly Airbus, and vice-versa, Tackett adds. That training is required because Alaska is merging pilots into a single seniority list under which pilots can “choose which aircraft they want to fly,” Tackett says. Alaska’s fleet includes 162 737s and 71 Airbus narrowbodies, and the company has orders for another 36 737s and 32 A320neo-family aircraft, according to Flight Fleets Analyzer. Executives have previously said that if Alaska decides to revert to an all-737 fleet, it will likely not divest Airbus until leases expire on those aircraft. 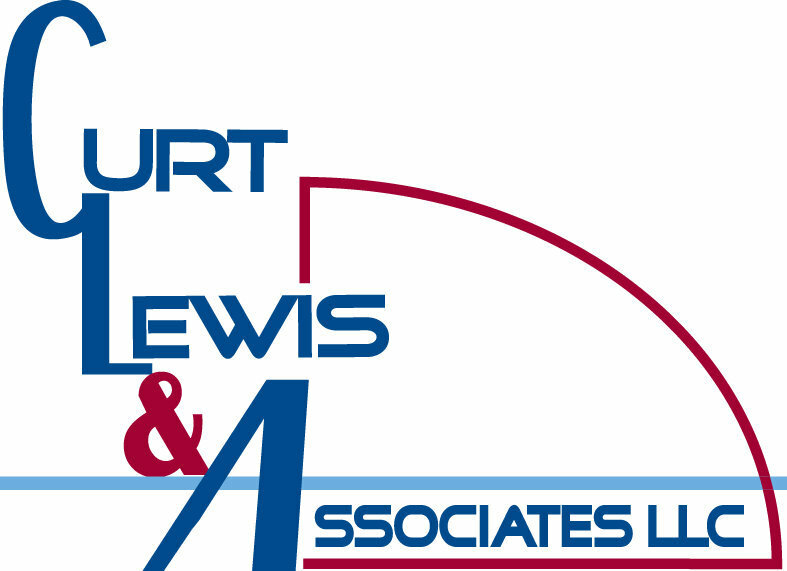 The last of those leases expires in 2030, Fleets Analyzer shows. Private equity firm Indigo Partners says it plans to buy a stake in WOW Air, a struggling Icelandic discount airline. The announcement comes just hours after Icelandair said it had called off its takeover of fellow Icelandic airline WOW. Indigo Partners owns Frontier Airlines and has investments in other discount airlines in Latin America and Europe. Frontier Airlines’ parent is planning to buy a stake in low-cost carrier WOW Air, the companies said Thursday, the same day Icelandair Group announced it had scrapped a planned acquisition of its ailing rival, calling WOW’s fate into question. Indigo Partners, a Phoenix-based private equity firm which owns Frontier, has invested in discount carriers in Latin America and Europe. Indigo said it has reached an in-principle agreement with WOW Air to invest in the Icelandic airline. The terms were not disclosed. “We have a strategic vision for the airline, and look forward to working with its employees and agents to deliver that vision,” said Bill Franke, managing partner of Indigo Partners in a news release. Franke is a veteran of the low-cost airline world. The firm had once owned Spirit Airlines, and helped grow and shape the once-struggling carrier. In addition to Frontier, Indigo Partners has invested in Chile-based JetSmart, Mexico’s Volaris Airlines and Hungary-based Wizz Air, all discount airlines. Indigo Partners is also a major purchaser of Airbus jets. WOW operates an all-Airbus fleet. The investment, if finalized, is a new twist in the fortunes of struggling WOW Air. The Icelandic WOW Air said this week that it has faced escalating financial problems since its bond issuance in September, including higher fuel costs. Aircraft lessors and the company’s creditors have “demanded stricter payment terms than before, putting further pressure on the company’s cash flow,” WOW Air said in a statement Tuesday. The airline reduced its fleet by four planes earlier this week. The low-cost carrier, which expanded rapidly and helped fuel a tourism boom to Iceland, has grappled with other problems as well, including complaints about poor customer service. “We have to do better,” WOW’s Chief Executive Officer Skuli Mogensen told CNBC in an interview in June in Iceland’s capital of Reykjavik. “It’s obviously in our interest to fix it.” He said problems such as canceled flights and delays have cost the airline in terms of lost passengers and the money paid out as compensation. WOW Air’s flights first took off in 2012 and it has expanded rapidly, adding trans-Atlantic service from several U.S. cities. The airline is a no-frills budget carrier, that offers low airfares, some below $100 one-way. It charges passengers for everything else, such as seat assignments, carry-on baggage and food and beverages. Flying magazine contributing editors John and Martha King join four others for enshrinement next fall. Six individuals were named to the 2019 class of the National Aviation Hall of Fame, including Flying magazine’s own Martha and John King. The National Aviation Hall of Fame announced its class of enshrinees for 2019, naming six individuals to the prestigious club, two of whom will be familiar to readers of Flying magazine. Our own contributing editors John and Martha King join a diverse group of pilots who have contributed greatly to aviation in their own ways. The class of 2019 includes: Col. Guion “Guy” S. Bluford, USAF (Ret. ), a Ph.D. aerospace engineer, fighter pilot, decorated Vietnam veteran, instructor pilot, NASA Group 8, mission specialist on four Space Shuttle missions; The late Col. Gregory “Pappy” Boyington, USMC, Congressional Medal of Honor Awardee, Flying Tiger combat pilot and flight leader, World War II fighter ace, CO of the Black Sheep Squadron, World War II POW; Brig. Gen. Charles M. Duke, Jr., USAF (Ret. ), a test pilot, NASA Group 5, CAPCOM Apollo 11, LMP Apollo 16, 10th person to walk on the moon; Martha and John King, founders of King Schools and 40-year veterans of aviation instruction, pioneers of multimedia training programs that have instructed more than half the pilots in the U.S. flying now; and the late Katherine Stinson, the fourth female in the U.S. to earn a pilot’s certificate, founder of the Stinson School of Flying in 1915, first woman to carry airmail and exhibition circuit pilot who set multiple distance and endurance records. Each year, the NAHF Board of Nominations, a voting body comprised of more than 120 aviation professionals nationwide, selects from a group of previously nominated air and space pioneers to be recognized for their achievements with induction into the NAHF. Since its founding in 1962, 241 men and women have been honored with enshrinement into the Congressionally chartered, non-profit National Aviation Hall of Fame based in Dayton, Ohio. “We continue this investigation. The results may probably be ready when the current crew returns from the station, i.e., after Dec. 20,” Dmitry Rogozin, head of the Russian space agency, Roscosmos, said in a Nov. 19 report from the Russian state news agency TASS. He added that Roscosmos and NASA had worked closely together to mitigate the danger, including by creating scenarios in which the crew onboard would evacuate – although this wasn’t needed, as the astronauts quickly plugged the hole with epoxy resin. There are three astronauts onboard the space station now, and they were originally scheduled to come home in December. 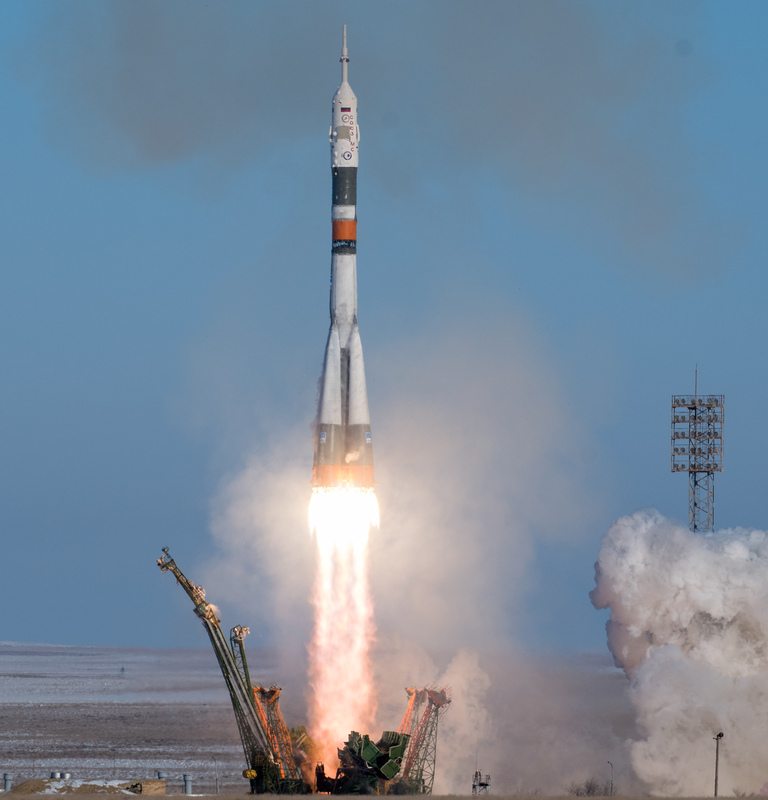 To keep the station continuously crewed, officials decided to advance Expedition 58’s liftoff by three weeks – to Dec. 3 instead of Dec. 20. That will allow the three crewmembers currently onboard on the ISS to come home on time, on Dec. 20.